Black Cat, a 3-mana 3/3 Mage minion with +1 spell damage and a Battlecry to draw a card if your deck has only odd-cost cards. Glitter Moth, a 5-mana 4/4 Priest minion with a Battlecry that doubles the health of all your other minions if your deck has only odd-cost cards. Gloom Stag, a 5-mana 2/6 Druid minion that gains +2/+2 if your deck has only odd-cost cards. Murkspark Eel, a 2-mana 2/3 Shaman minion that does 2 damage to a target if your deck has only even-cost cards. I wanted to set some expectations, there are only a few of these even/odd support cards like the ones shown. There is not one for each class. We aimed them at the combinations that we thought were going to see less experimentation/play so that people might try those out. For example even mage is an obvious choice, so we made a card for odd mage to increase its viability a bit. As with most build around cards these even odd decks are cool because as new expansions are released people will go back and look at the combinations again and pick some to experiment with. 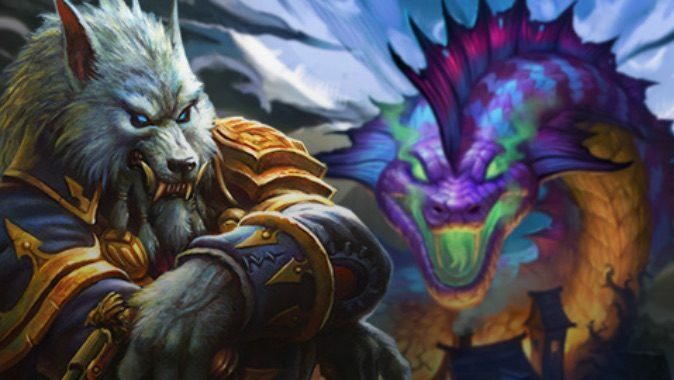 The Hearthstone team promises more card reveals starting on March 26 with an 11 a.m. PDT livestream on the Hearthstone Twitch channel. After the team reveals whatever it’s revealing, we should see the usual assortment of reveals across the web. In short: stay tuned for more info on the Witchwood.